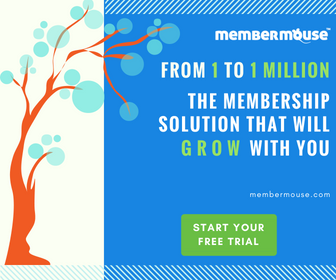 Today, we’re excited to launch the next version of MemberMouse. Version 1.6.5 includes many new improvements including powerful integrations with AWeber and GetResponse, a handy protected content widget, improvements to the API and a number minor enhancements. The new Protected Content Widget is a really powerful tool for anyone taking advantage of Drip Content Schedules. The widget provides a great way to dynamically display upcoming & recently released content to your members allowing them to see what they have access to now and what they’ll get access to in the future (as long as they remain a member).Using the widget to display content as it becomes available impresses upon your members that your content is fresh and the site is “alive”. Also, displaying upcoming content gives them something to look forward to and provides additional incentive from them to stick around which aids in decreasing cancellations. The Protected Content Widget is a standard widget within the WordPress framework so you can use it seamlessly with any WordPress theme. You can also use it multiple times within the same sidebar to display different post categories, upcoming vs. already released content and more. To use it, just navigate to the Widgets area from the Appearance menu in WordPress and look for the MM Protected Content widget. API Enhancements – We’ve increased the usefulness of our API by adding additional input parameters and returning more detailed response data. These enhancements will make it easier to grab and update existing members’ information in your custom solutions.